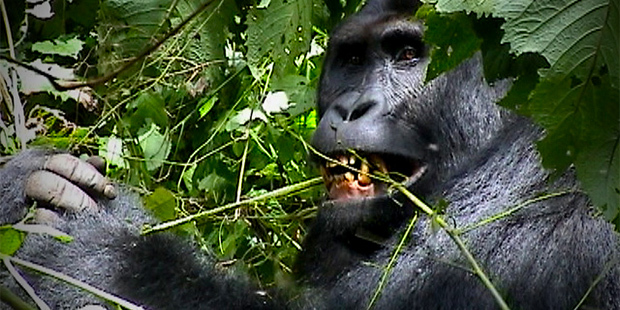 Wildlife cameraman Gordon Buchanan visits our friend Chimanuka the Silverback in Kahuzi-Biega National Park in the BBC Two series that begins broadcasting today. Accompany Gordon as he attempts to gain the trust of Chimanuka and map the power dynamics at play among these gentle giants. Breaking new ground for vEco, the BBC has linked to our own virtual tour of Kahuzi-Biega National Park and the Chimanuka group where you can learn some of the finer points of Gorilla etiquette and inspect what’s left of a banana plant after a silverback has had his fill of banana pith!